This stunning 12-light Semi-Flush Mount Ceiling Light only uses the best quality material and workmanship ensuring a beautiful heirloom quality piece. 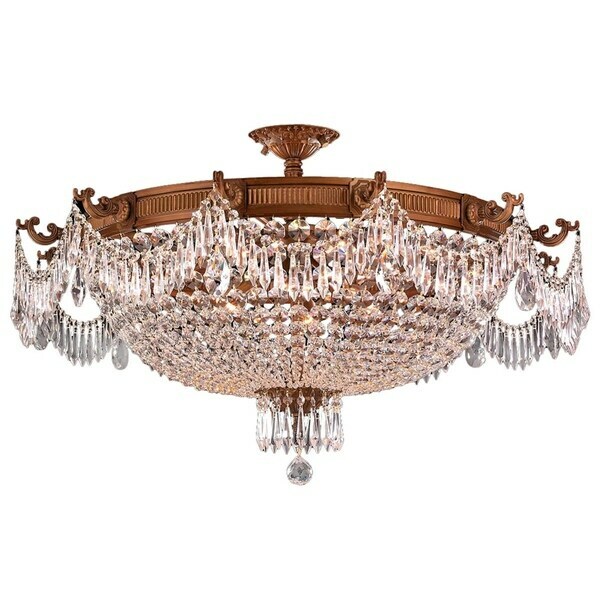 Featuring a Solid Cast Aluminum frame in French Gold finish and rows of lead clear crystal beads and prisms, this ceiling light will give any room sparkle and glamour. Warning Attention California residents:This product may contain lead, a chemical known to the State of California to cause cancer and birth defects or other reproductive harm. Dimensions 36.0 In. X 36.0 In. X 21.0 In.